Pallet Rack Auctions, Call Today | ACE Industrial Equipment, Inc. Ace Industrial has the inside scoop on pallet rack auctions occurring throughout the United States. These pallet rack auctions are held for various reasons. 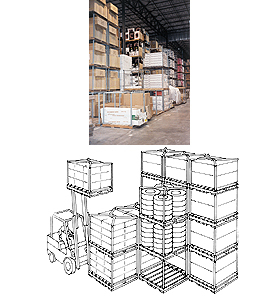 Some companies go out of business and auction off their pallet racks; others may auction the entire contents of their warehouse for one low price. Also, manufacturers and retailers will auction off brand new pallet racks because of bankruptcy, mergers, or the desire to move merchandise. Regardless of the reason why these items are auctioned off, we here at Ace are experts at bidding for the best bargain. We can get a hold of pallet racks from leading manufacturers at fantastic prices. When you purchase the merchandise we acquired from pallet rack auctions, you’ll get much more than pallet racks at an unbelievable price. You’ll also receive Ace’s top-notch customer service and product support. To learn more about how Ace can be your dependable middleman at pallet rack auctions, call 1-800-300-6034.